When bed bugs have taken over your Fort Collins home, it’s scary and unnerving. The place that is your sanctuary has been invaded by tiny pests that make it difficult to sleep comfortably at night and enjoy being in your home. That’s where we come in. A2B Solutions is a Top Rated Local® bed bug exterminator that kills bed bugs with the one thing they can’t escape: heat. Using a triple-action heating method, we can safely and effectively remove all bed bugs — in all stages of life — from your home. A bed bug heat treatment is the proven method for completely eliminating bed bugs once and for all without the use of harmful chemicals or ineffective DIY treatments. Are you ready to take back your home, your comfort, and your well-being from those unwanted home invaders? Contact A2B Solutions to get a free estimate for a bed bug heat treatment in Fort Collins, and let us help you live comfortable again. If you have the misfortune of a bed bug problem, then odds are you’ve already done ample research online. As you may already know, bed bugs aren’t a problem that will go away on their own. 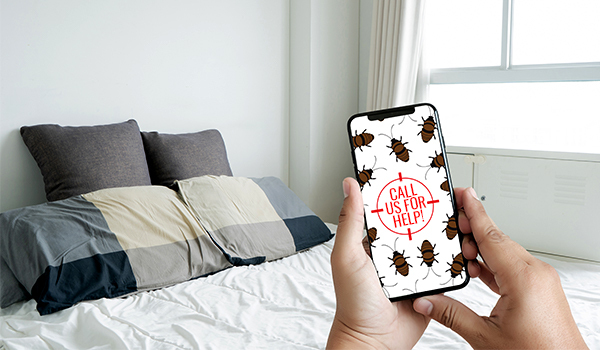 If you’re considering, or have already tried, the host of ineffective tricks and products found online, then you’re likely looking to schedule a bed bug exterminator right away. Just remember, not all of Fort Collins’ bed bug exterminators are created equal; unlike other pests, bed bugs hide in the places your family uses most, making chemicals even more dangerous. If you’re hoping to be done with this nightmare once and for all, then you need our bed bug heat treatment. For us, the answer is simple: it works best. For over a hundred years, heat treatment has been used as the most effective means of killing bed bugs. Chemicals have been used to kill these pests as well, and still are, but this method is not reliable for killing or reaching eggs and larvae. This leaves you with a looming bed bug problem that will need to be addressed with numerous visits, and could result in an ultimately failed treatment. Numerous batches of potentially dangerous chemicals in and around the surfaces that your family uses most sounds far from ideal. Our bed bug heat treatment provides a realistic alternative. By heating your home to a safely high temperature of 140 degrees for several hours, we ensure that bed bugs have nowhere to hide. This kills bugs at all stages of life throughout your entire home with minimal disruption to your life. We’re so confident that any Fort Collins family will love our bed bug heat treatment that we’ve backed it by our satisfaction guarantee. At A2B Solutions, we want to completely eliminate your bed bug problem in one safe and effective treatment. In our many years of treating homes in Fort Collins, we have determined that our triple-action heating method, which uses propane, electric, and steam heat, is the only way to get rid of bed bugs once and for all. Our treatments are quicker and less-invasive than any chemical treatment, but don’t let the sound of a quick treatment fool you into thinking it’s less effective. Even though they typically take 8-12 hours to complete, we take our time, ensuring the heat penetrates even the darkest reaches of your home — killing every last bed bug, in every stage of life. Ready to schedule a bed bug heat treatment in Fort Collins? 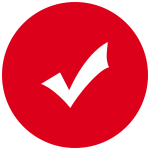 Use our convenient online form or give us a call today to learn more about our environmentally and family-friendly bed bug solution. Don’t wait, get back to sound sleeping today!